From the comments, you really enjoy these types of posts so I’ll keep them coming! I feel like I can’t emphasize this enough…these posts don’t illustrate what you should eat, everyone is different. Rather, I hope reading through the thoughts/factors that go into a food decision help you in your own intuitive eating journey as you navigate learning to nourish yourself based on internal vs external cues. When I write these posts, I have to really think about what was going through my head/body at the time. In the beginning of your intuitive eating journey, it can feel like you’re hyper focusing on food choices. And it can feel really murky and grey – like you’re walking around in a dark room. As you learn new skills and learn your body more, the decision making shifts and becomes more subconscious and intuitive. 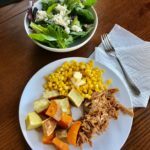 I’m in that subconscious space, so writing these is interesting because I’m like….”oh, that’s what I was thinking.” Wherever you are, even if you’re not totally sold on the idea of intuitive eating, know that you are right where you need to be. Breakfast | I’ve been on an apple cinnamon oatmeal kick lately. I went through a period where I didn’t crave hot oatmeal for years, but over the past few weeks it’s circled back. 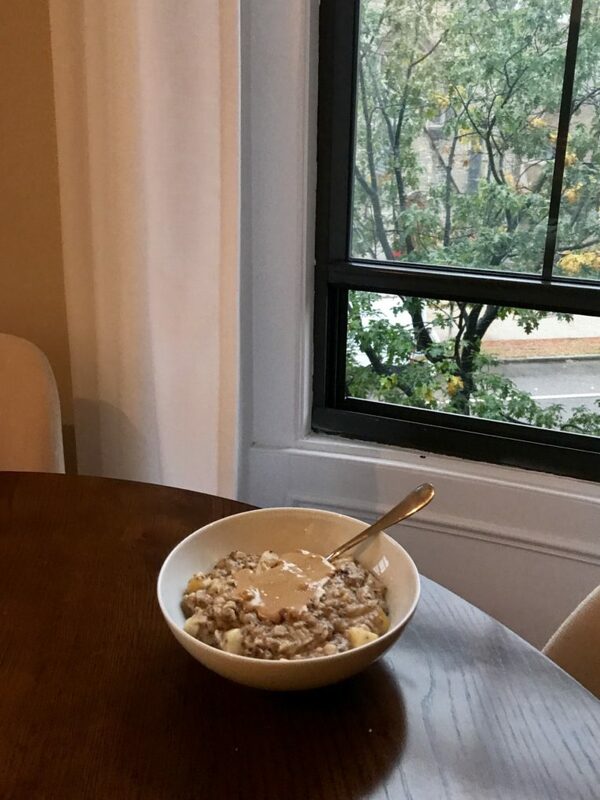 It’s chilly in the mornings and hot oatmeal sounds comforting – which I’m into because oatmeal is quick, easy and cheap. I don’t like mushy banana in my oatmeal so chopped apple works with my texture/tastebud preference. Sometimes if I don’t want the “thickness” of nut butter (if that even makes sense) I top the bowl with butter + brown sugar. Kind of like apple crisp in oatmeal form. 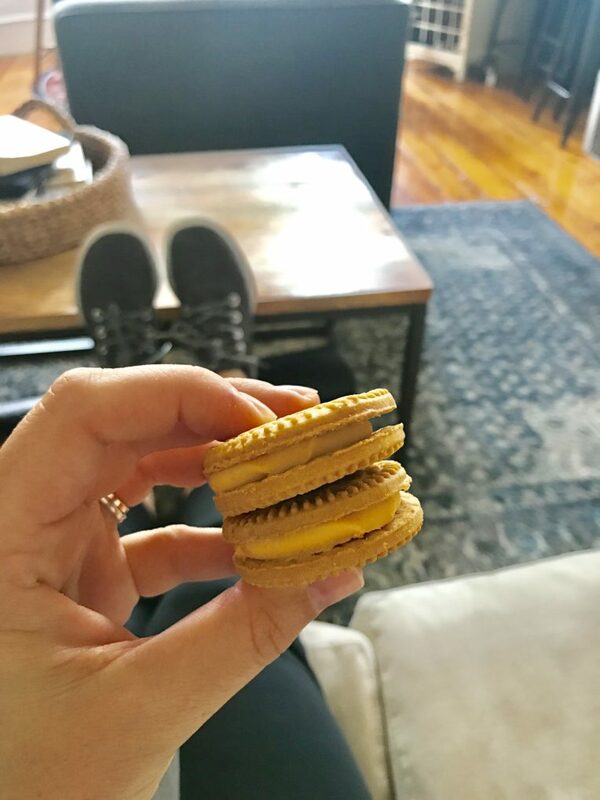 This day I was craving salty peanut butter so went with that. I know that in order for a bowl of oatmeal to keep me full longer than 2 hours it needs a lot of nut butter so I make sure there is a good amount. I can’t eat hot oatmeal all in one sitting or it makes me feel a bit nauseous, so I’ll usually eat it over the span of 30 minutes or so even I need to go back and heat it up. 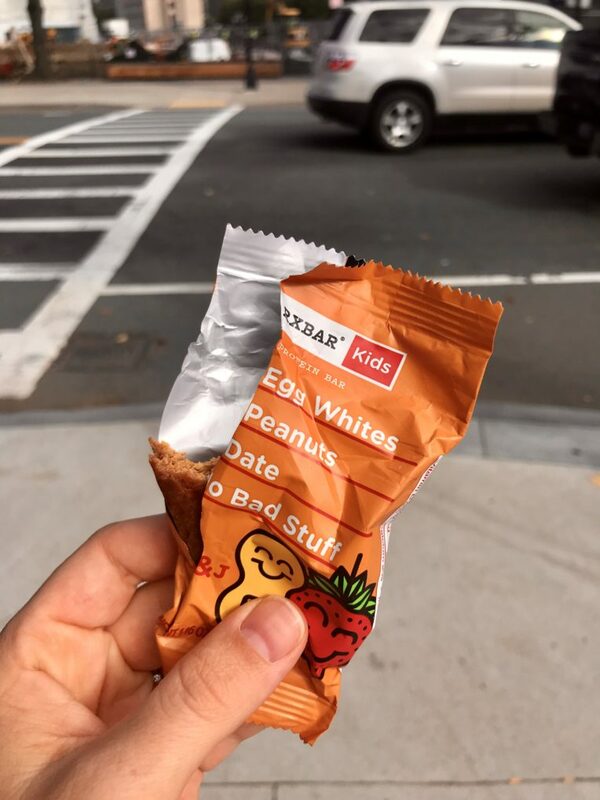 Snack | Thinking back, I was in a rush to get out the door to a session with a local client and threw this bar in my bag so not much thought went into this snack choice except convenience. I know some people don’t like Rx bars because they can stick to your teeth, but I actually really like the chewy texture. I like these smaller bars for when I know I’m going to be eating a meal in 1-2 hours, they hold me over just enough without killing my appetite. I will say though, I could do without the “no bad stuff” messaging on that package…especially for kids! Lunch | Trader Joe’s frozen black bean and corn enchiladas. I’m going to go out on a limb here and say this might be my favorite frozen meal. They are SO GOOD. It’s all in the sauce and the chewiness of the tortillas. I don’t think I can make better enchiladas from scratch. Am I delusional? Maybe. But probably not. They are that good. This meal was quick + easy and tasty. After that client session earlier, I went to the gym and did the stationary bike + lots of stretching + my exercises for my chest/back so when I got home I didn’t want to bother with cooking and I didn’t have anything prepped for lunches. I always have a frozen meal or two on hand and some things in the pantry (pasta, a box of mac and cheese, can of soup etc) for times like these. There’s not a ton of protein in the enchiladas so I added some nutritional yeast for a protein boost. That’s where mind knowledge comes in and you can use nutrition labels in an objective way to help you make food decisions that are best for your body. Shredded cheddar would have been even better here, but our fridge was void of cheese. WTH, I know. I heated up the enchiladas in the microwave. Then zapped some spinach for about 20 seconds in a bowl until it wilted a bit to add some veggies to the meal. Veggies = vitamins and minerals NOT satiation. I have a few clients right now where we are really working through and unpacking the belief that vegetables = volume = satiation. Vegetables are low in energy and macronutrients. They are high in vitamins, minerals and fiber. 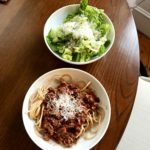 Does fiber add to satiation? Sure. But your body needs energy (aka calories) and carbs, protein and fats to feel satiated + satisfied and for the appetite lightbulb in your brain to go off. Volume does not mean fullness. Diet culture makes you believe that. You can eat all the vegetables you want, but that doesn’t mean you’re going to be full and satisfied. That means you’re probably going to feel bloated and gassy, but still have an appetite. If this resonates with you, do an experiment. Eat a meal that’s lower in volume, but contains carbs, protein fat and enough energy and see if it fills you up. Often there is a fear that, “I won’t be full unless I eat x vegetables or x volume.” Is that actually true or is that something you’ve come to believe because of diet culture? Report back in the comments! Also, I added the apple because I could eat 6 apples a day if my GI system didn’t rebel against that. Six apples = way too much fiber. But I am on a two apple a day kick because they are so juicy and crisp right now. 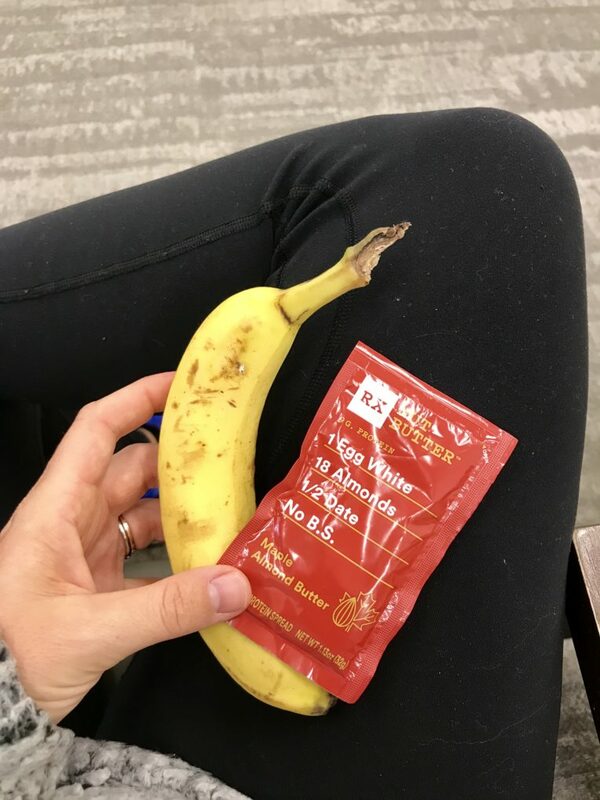 Snack | As I expected, I wasn’t totally satisfied after lunch since it was lower in calories (from noticing the nutrition label and using that in an empowering, objective way) than I usually eat. So after a client call, I ate a couple pumpkin white chocolate chip cookies. They are delicious and always satisfy. I ate 4 one day and that resulted in a belly ache. Curiosity over judgement helps us become more skillful, mindful eaters. So now I stick to 2 or 3 and if 20 minutes later my stomach feels good and I want another, I have full permission. But that hasn’t happened yet. Snack | I go back and forth between only wanting savory/salty snacks and then getting on a sweets/baked goods kick. The past week or so has been all about the sweet things. Before I left for an appointment, I grabbed a couple pumpkin joe joe’s from Trader Joe’s – not because I was hungry, but because I wanted something sweet and I am never not in the mood for icing. Went to the doctor and then wrapped up some work at a local coffee shop. I snapped this photo in the doctor’s office because I knew I’d eat this at some point and I did – in the coffee shop before heading home for the day. 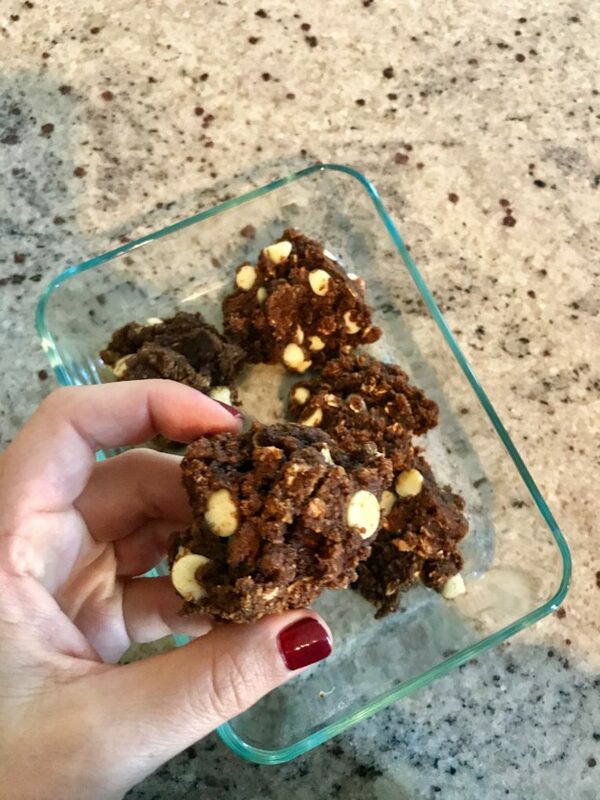 Snack | I needed something that would hold me over for a couple hours which for me means a snack with all the macronutrients, emphasis on the fats. Banana = carbs. Nut butter = fat + protein. Rx bar sent me these packets and they taste amazing. Plain old regular almond butter and peanut butter also have a good bit of protein in them. While I really enjoy these packets (the maple flavor is on POINT) I think there’s enough naturally occurring protein in nut butter without needing to add egg white protein. But nonetheless – tasty! Dinner | We’re trying to clean out our freezer since there has been a handful of frozen meals in there for a while. When I cook, I often double the recipe and freeze half. 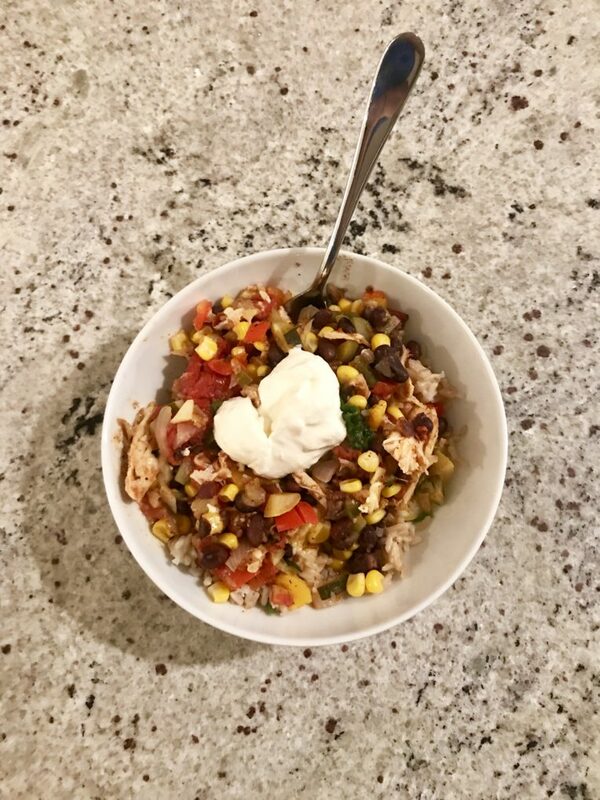 This was a mexican chicken bake I made a few months ago (basically shredded chicken, sautéed peppers + onions, corn, black beans, a packet of taco seasoning and a can of tomatoes that I baked for 20ish minutes @ 375 and then topped with cheddar and baked for 10 more minute) We eat it with tortilla chips or with brown rice. Topped with sour cream + guac when I have it on hand. Really, I had zero craving for this meal. I would have rather picked something up from Dig Inn or Cava. But it was what we had and required zero cooking so that was dinner. In the beginning of my IE journey, I ate out more so I could satisfy cravings as frequently as possible. Now, years later, I know not every meal has to be exciting or 100% satisfying and that’s ok. Another meal or snack is right around the corner. 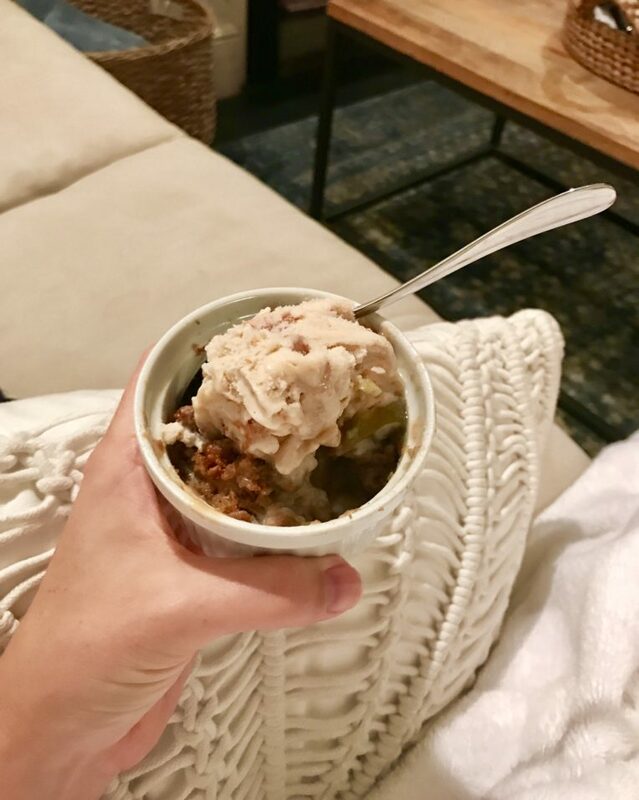 Night Snack | Like this apple crisp with vanilla caramel gelato that was 100% satisifying and everything I was craving. Was I “hungry” for this? No. But I was craving it and this is what gave me the “satisfaction factor” they talk about in IE….especially since dinner was mehhh. I’d love to hear your thoughts in the comments! Where are you in your IE journey? What’s something you’re learning? Also, if you’re feeling alone, stuck, frustrated or confused with intuitive eating – you are so not alone! Our virtual Intuitive Eating support group might be just what you need. The next one begins January 15th – right in time for you to have a supportive community of women during the vulnerable diet-driven New Year! We are offering the group at our lowest price – read more here! That mexican chicken bake thing looks sooo good! Also, yeah, I struggle with the “not every meal has to be exciting or 100% satisfying” thing…I still feel super disappointed when a meal leaves me feeling just “meh”. Definitely something I need to work on being okay with..
Wow! I was today old when I found your site and I am so happy I did! I am looking forward to diving in and learning more. Your insight about vegetables not being filling is on point and inline with so kuch of the ridiculous “dieting” myths out there. Looking forward to.following along with you on my journey to losing 100 lbs without dieting. As always, so informative and reassuring! I am so with you on the apple love Robyn! I have to limit myself to 2 a day. They’re so extra delicious this time of year and can be incorporated so many different ways! haha yes I feel you. apple crisp is hitting the spot for me! I loved this article! Your point on vegetables for vitamins and minerals not satiation was…sadly…mind blowing. I’m working on my intuitive eating journey and I know I through extra veggies in stuff to bulk them up. And I do feel guilty when I find a meal with not much of them still. Do you have any previous posts or suggestions on meal planning? I just don’t know how to shop without some kind of list and wondering if that impacts the intuitive eating journey at all. I saw you said you ate out a lot at first. Thanks! 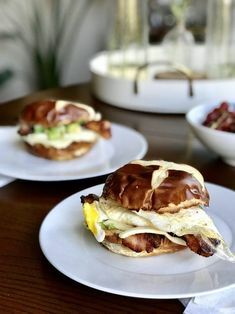 It’s okay to be where you are in your journey Justine 🙂 This post here on IE and meal planning I think will be helpful! I recently found your blog and already find it so helpful, thank you! 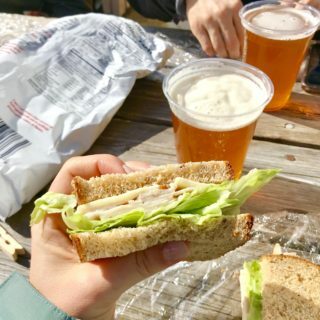 I have a question about intuitive eating and packing food for the workday. I am just starting to embark on intuitive eating as part of the healing from hypothalamic amenorrhea (I have already achieved a normal BMI, but looking to now eat more intuitively) but my work is such that I need to pack my breakfast, lunch and snacks. Do you have suggestions for how to keep the intuitive eating mindset and lifestyle when needing to plan meals and snacks ahead? I practice intuitive eating and also do weekly food prep and daily packed meals. 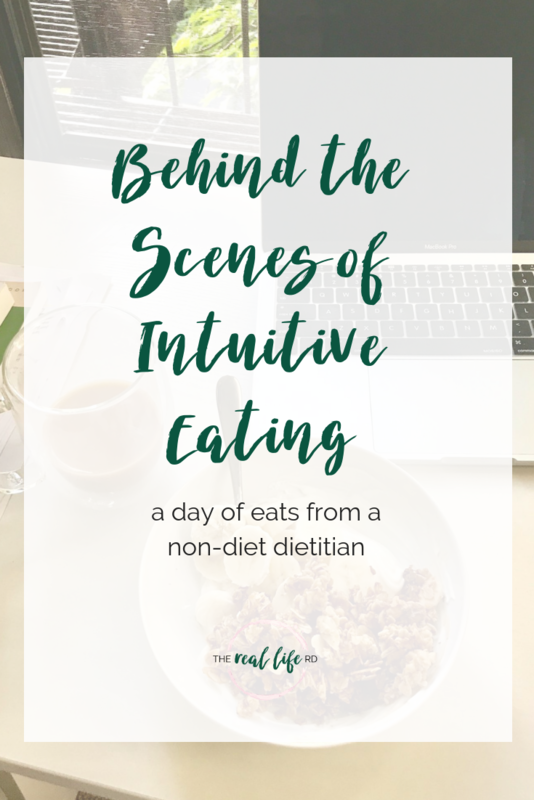 Intuitive eating, for me, is not so much about eating EXACTLY what I want in that exact moment, but rather having adequate food available throughout the day that will provide nourishment and (hopefully) satisfaction. I also try to keep a drawer full of easy to prepare meals and snacks in case I’m extra hungry or craving something different than what I packed. Canned soup, oatmeal packets, snack bars, and chocolate are always on hand for when the hunger strikes. 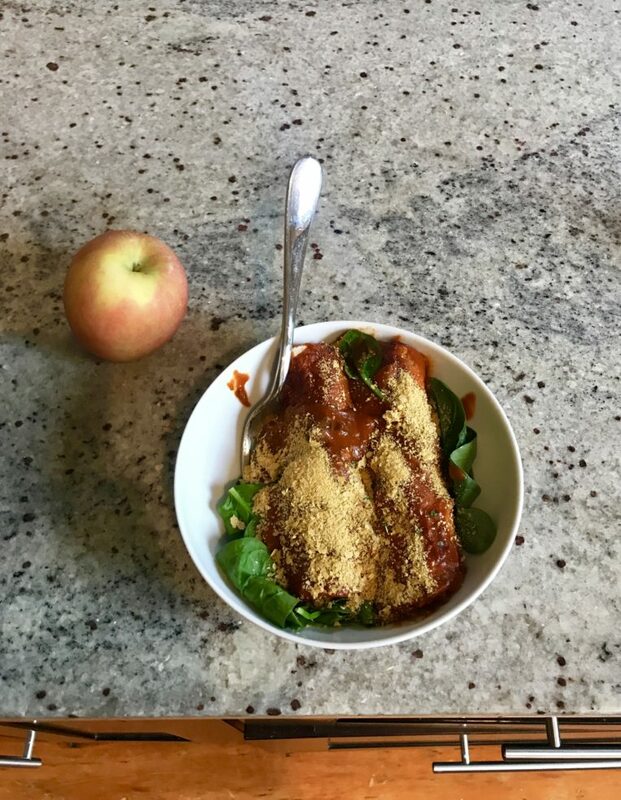 To practice intuitive eating when the food choices are limited means paying attention to my hunger and fullness cues with what is available reminding myself that if I’m not satisfied by this meal, I can grab something later in the day to satisfy the craving. Its just a little pep talk to my brain that I hear that it wants chocolate and I’ll get some as soon as I can! Planning and intuitive eating can exist in harmony if you’re not limiting yourself with arbitrary food rules and “shoulds.” Hope this helps! 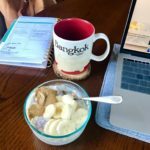 This post here on IE and meal planning I think will be helpful! 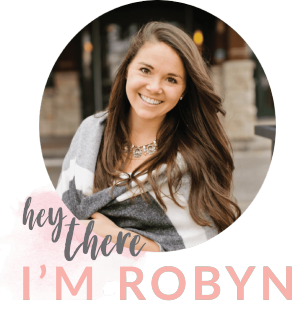 Love these posts, Robyn! My favorite pet is all of your snacks. YES to multiple snacks a day! I went through a period of time where I wouldn’t eat “healthy” meals (so dubbed during my disordered eating days) because I thought they didn’t jive with my new IE lifestyle. 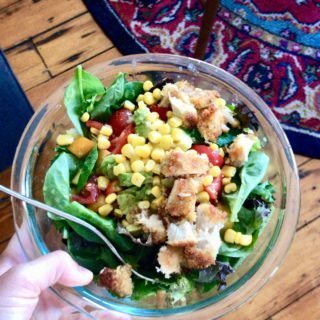 But I actually really enjoy salad and crave it as a meal, so I’ve started working back in big salads for meals! Whereas in my pre-IE days I would try to get by just on the salad (volume, I guess) now I really love a big salad with tofu or chickpeas for protein and a side of toast or, even better, CHIPS for carbs! Had this the other night and it was filling and satisfying! That can certainly be part of the journey Taylor – thank you for sharing!! I’ve been working on my IE journey for about 7 months now and though its still hard, I’ve came so far. I used to barely eat a breakfast or lunch (like a piece of toast and then a salad w/ 0 protein or fat) and then binge at dinner because I was so afraid of getting too full in the day. Now I’m eating 3 satisfying meals and sometimes even snacks! It sounds so crazy to think that eating “normally” brings so much joy, but even when I do mess up (like tonight I got a bit too full) I know that tomorrow is another day! 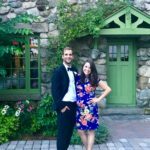 I found your blog almost 4 years ago and I have kept up ever since. It gives me such peace knowing that this is a process. 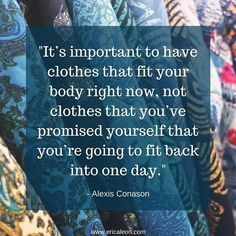 Yes and it is not about perfection – you will have periods of overshooting fullness, not being satisfied etc etc and that is just part of “normal eating” 🙂 Curiosity over judgement! Thank you for following along over the years – I’m so glad it’s been helpful! I love this so much! Defietly inspiring to see how logical and normal intuitive eating is, especially when presented in action! So glad it was helpful Mary! I finally picked up those TJ’s enchiladas to try after this post and WOW THEY ARE GOOD! You are so right, better than what I could make and WAY better than their Amy’s counterpart. Amy’s makes an identical product but the sauce is nowhere near as good. This point about veggies/ fruit and volume vs. satiation cannot be overstated. 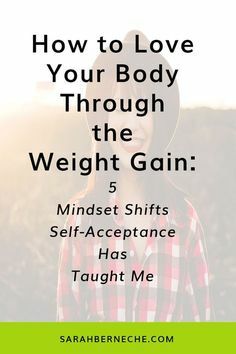 I read something on this blog or watched a video where you were discussing this about 2 years ago, and that was partly what helped me to recognize my eating as disordered. I had fallen so far down the plant based rabbit hole 90% of my diet was fruits and vegetables, but I thought I couldn’t have an eating disorder because I was eating constantly. I even encouraged friends who were in restrictive patterns to emulate my “success” by eating an enormous amount of high fiber, low calorie foods rather than “starve” themselves, which I was still unknowingly doing. It’s been a lot of work building intuitive and mindful eating skills, and challenging the beliefs I held about food and bodies, but it is so worth it! Reading these posts has truly changed my life for the better. Thank you for writing them! I picked up the TJ’S enchiladas because I saw them in one of your IG stories, and YES, they are so good. There was a little part of me that went to panic mode when I thought about you being gone for maternity leave. Like wait, now what!? Because you are such a support system. It made me think back to when I was in a really delicate state of mind and how so many of the people that follow you might be in that spot too right now. That was so awesome of you to prepare material for while you’re out. On that note, I’m excited for you to be able to enjoy a beautiful new baby! I believe you said it was a boy-it will be so fun for us all to see him (when you’re ready to share him of course). I really want to give you a huge thank you for addressing the volume/vegetable point with satiety. This has been a huge thing for me to overcome and it’s really gotten me in trouble in the past with my physical and mental health. I would eat pounds of vegetables a day and not have energy to walk up the stairs or the mental ability to concentrate (while never feeling satisfied). Now days, I still struggle with getting over things that were planted in my head years ago regarding vegetables-that they need to be SO present on my plate for EVERY meal. I’m really looking forward to hearing more about this. For me personally, I really have to spend a lot of time challenging thoughts in my mind for them to stick (even though I KNOW, it’s so hard to overcome the rut). Thank you as always and I hope you have a really nice Thanksgiving with your family! Omgggggg I always thought there was something wrong with me because veggies do not fill me up AT ALL. If I have a salad for lunch I’ll feel full, but not satisfied, for about half an hour, and then I’m ready for another meal. It’s why I prefer my leafy greens cooked and if I’m having salad I have it as a side, not the main meal. 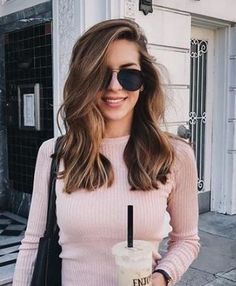 People are having success losing fat with this… https://bit.ly/2Pzvrip check it out! THIS is so perfectly stated. I was caught in the “volume eating game” for years thinking I was “full” and “eating enough,” yet chronically fatigued and was not getting a period. I am just beginning my IE journey. I’ve been eating paleo for almost an entire year now. I was recently diagnosed with anxiety and through some self analysis and therapy, I have discovered food has played a part. Since I ate a lot of vegetables for a year, lately my body has been craving cheese and oatmeal and popcorn. And it has been so satisfying. Broccoli cheese soup has been huge for me and it helps me eat some veggies. I’m very new to this and will be sure I am eating more veggies again one day in order to get my vitamins and minerals, but right now, I need to enjoy what I am eating and I am fine with that. I lost weight I didn’t have to lose. It scared me. Thank you so much for this post and entire blog. It has been a true God send.